Nine years ago my New York agent circulated to four different publishing houses a 20-page memoir proposal for Sweetwater: A Mountain Cabin, a Life Unfolding, still a work-in-progress. Despite accolades for my first memoir, three of the houses passed on the project with cordial letters that addressed its strengths and shortcomings. The fourth pass came from the executive editor at Viking Penguin. 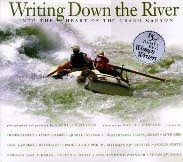 “This reminded me of a book I published..." wrote the editor, "Drinking the Rain by Alix Kates Shulman, the story of a summer she spent alone at a cabin in Maine as she turned fifty and was experiencing midlife and marriage crises. I love that book… Shulman is an amazing writer, and I’m afraid for me Lambert’s writing did not hold up in comparison…” Photo of Shulman by Marion Ettlinger. I was devastated. Once I picked myself up off the floor (which took days), I ordered a copy of Drinking the Rain, flipped through the pages when it arrived, thought of the rain-parched landscape of the West, promptly closed the book and shelved it—stuffed it, actually, wedging it between two other volumes. During the next nine years, I rewrote the proposal—moving blocks of text around, pulling different passages from the pages of my journals, replacing and reorganizing. But the actual writing that hadn’t “held up” to Shulman’s? The lofty lines that I’d strung together like a ladder, hoping to fool the reader into thinking I’d climbed to the top of some wise vantage point? Those lines stayed. I was still fooling myself. I was rearranging the project, but not re-envisioning it. 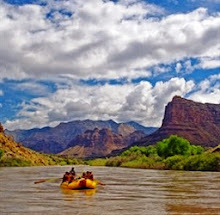 Tangled in hundreds of pages of trailing ends, lost in the emotional valley where I’d buried my marriage, I was unable to sift those experiences, filter out the dredge, and pour what remained into a new, streamlined vessel. Two weeks ago, I pulled Drinking the Rain from its tightly wedged place on the bookshelf and once again opened the cover, stepping away from my bruised ego and into the beauty of Shulman’s prose. I drank it all in. Read. Savored. Studied. Made notes in the margins and on the endpapers. Analyzed her graceful shifts from front story to back story, from long walks along seaweed-strewn shores where she harvested each night’s meal, to brief reflective passages with shining epiphanies small enough to stuff in my pocket and take home. "A new world," she writes, "close as my body and old as the sea, has opened up to me ... I soon discover I can no longer eat without grace on my lips." I studied the memoir’s three-section structure: The Island. The Mainland. The World. How exquisitely, deceptively simple! Elegant and craft-driven. All the carefully selected, trailing ends neatly braided into one strong rope—a lifeline for the reader. 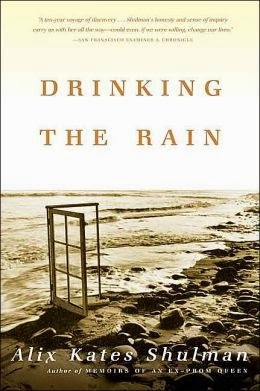 Drinking the Rain (published in 1995) now sits on my desk next to four, much newer memoirs, all published in 2013, all written by women, all “slice of life” stories rising from some cataclysmic shift in each of their lives. 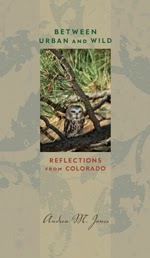 In the memoir Between Urban and Wild: Reflections from Colorado, Andrea Jones writes about when she and her husband left the foothills outside of Boulder “to build a new home on a grassy wrinkle in central Colorado, just north of a butte named Cap Rock Ridge.” More remote than the cabin in Maine where Shulman retreated, Jones hones her vision and finds, like Shulman did, the entire world mirrored in the microcosm just outside her door. 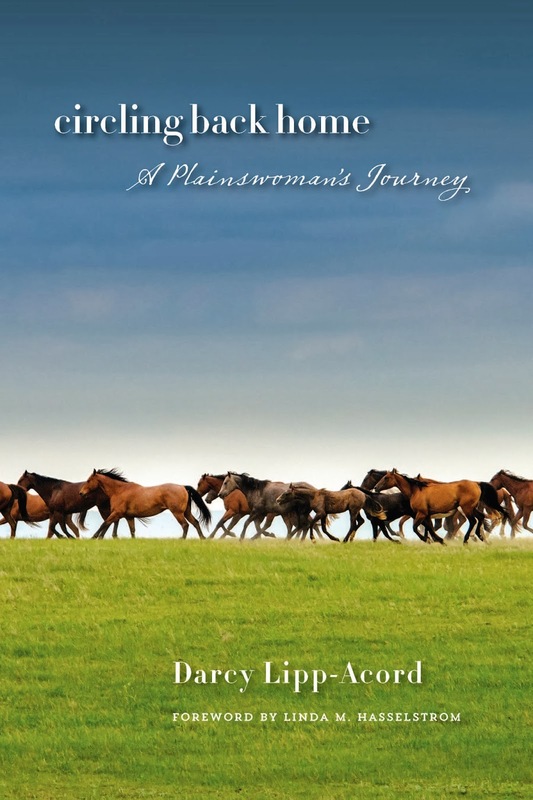 In Circling Back Home: A Plainswoman’s Journey, Darcy Lipp-Acord delves deeply into the daily tasks of rural living, looking at her life through the generational lens of family history, examining it under the harsh light of modern values, weighing each motherly and wifely act on a scale that balances loss and blessing. Lying in the hospital about to give birth to a son seven weeks prematurely, she thinks of the miscarriage she suffered five years earlier, of the five babies her own mother lost. 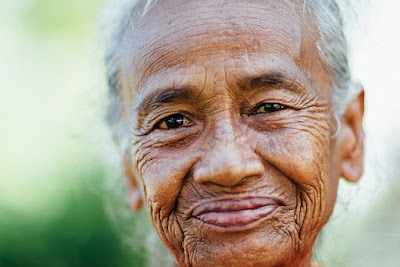 Her plainswoman lifestyle seems anachronistic, yet the threads of her life tie her to an ageless tapestry. 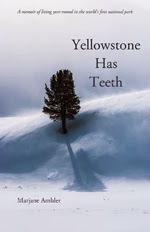 In Yellowstone Has Teeth (a memoir of living year-round in the world’s first national park), Marjane Ambler takes the reader inside a nine-year slice-of-life, from 1984 to 1993, when she and her husband lived in the middle of 2.2 million acres, along with a handful of other brave souls who thought nothing of snowmobiling for two days to retrieve their mail. When the devastating fire of 1988 hit Yellowstone, huge cumulus clouds boiled over Two Ocean Plateau, “the clouds stained red from the fires far below, like cauliflower boiled in blood.” Ambler's is a book about community, painted with brush strokes wide enough to cover the immense landscape she called home, yet dotted with detail so painstakingly rendered you can almost hear the snorts of the 2000-pound bison that travel the same winter trails. 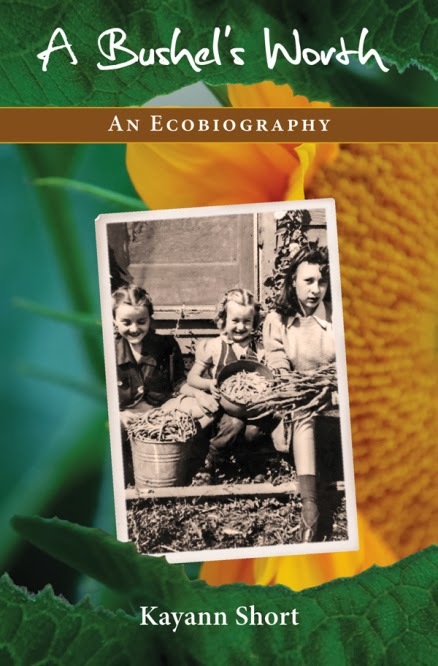 Which is exactly what Alix Kates Shulman did during those secluded months living in her seaside cabin in Maine—she discovered, and rediscovered each time she returned to the cabin, the joy of a simple, harmonious life. Ah, if only writing about such a life were as easy as living it. If only we could find the bare bones of our stories as readily as we gather the bare bones of the animals we find along the trail. If only we could return to that cabin in the woods, sip the sweet water that pools beneath the aspen trees, and drink in the rain, knowing what we know now. 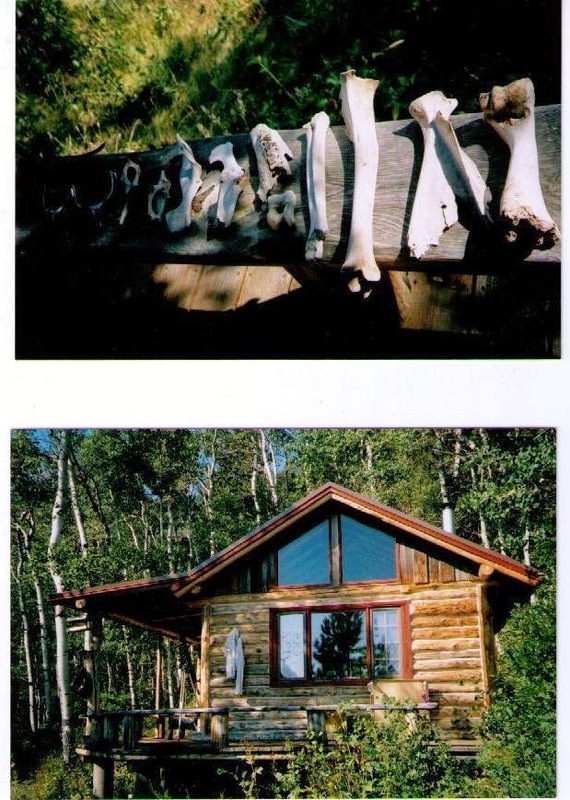 Photos to the right are of cabin where Page spent a month alone in the Big Horn Mountains, the setting for her next memoir. NOTE: The deadline for 1200-word submissions to the Stories On Stage Memoir Contest is March 12, 2014. 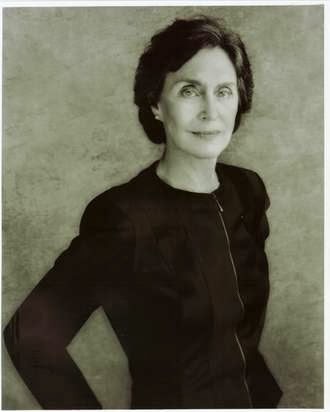 Page, I enjoyed this post about memoirs enormously, especially about Marjane Ambler's wonderful book, YELLOWSTONE HAS TEETH. I had the pleasure of being on a panel with Marjane at the Montana Festival of the Book, and she's as authentic and inspiring in person as she is in her book. Gail, so glad you were able to share some panel time with Marjane! I knew her best when she was editing the Tribal College Journal, a great publication put out by the American Indian Higher Education Consortium (AIHEC). This time you have outdone yourself with 5 wonderful sounding books that I can hardly wait to read. I always want to go out and buy whatever book(s) you have talked about in your blog. 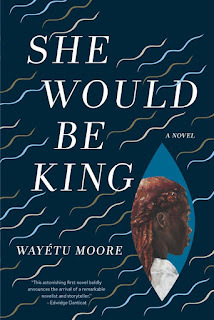 I value your willingness to share your thoughts about the books you have read, what you have liked, and how each character relates to the land through her/his heritage and experiences of a close relationship to the land and living intimately with it. 2jillie, thank you for taking time to read the post ... and yes,hope you have time to read the books as well! Kaye, I always appreciate your comments so much. Thank you. 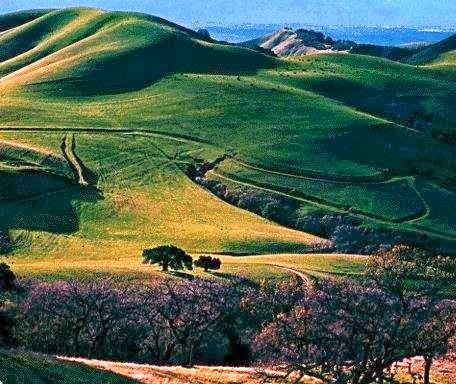 Looking forward to seeing you again at the Vee Bar for the Literature & Landscape of the Horse retreat. Each year, its a balm for the soul, isn't it? Page, thank you for being so open in your blog post. My heart hurt for you when you described receiving the letter from the editor, yet I also giggled when you revealed how you stuffed Drinking in the Rain away for a bit. What stuck with me is how you are re-envisioning the work ... not just restructuring or moving it around. That speaks to me because of where I am with my own memoir right now, with the latest task re-envisioning the title and how to integrate the stories of others in it without it becoming an anthology. Thanks for being such a beautiful, vulnerable voice for us writers. 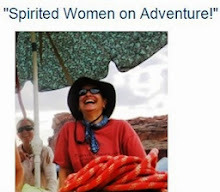 Christy, thank you for sharing some of your memoir journey too ... re-envisioning means not only the writing project, but often it means re-envisioning our lives. There in lies the rub!